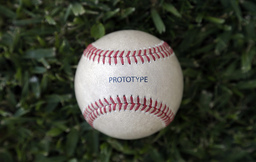 TAMPA, Fla. (AP) New York Yankees' hitters involved in testing a ball that has undergone a factory rubbing at a factory have issues with the prototype's color. "I was asked what I thought, and I thought it was too dark," outfielder Brett Gardner said. "The ball felt the same coming off the bat. I'd just like to see the ball be a little more of a white shade so it's a little easier for the hitters to see." Gardner, Gary Sanchez, Greg Bird and Miguel Andujar hit the balls during part of a recent pregame batting practice session. The balls have "PROTOTYPE" stamped on the sweet spot. "A little dark," Sanchez said through a translator. "During BP, I felt like it jumped a little more than the current ball."